Albany, New York – At the Democratic 3rd Judicial District Convention today, attorney Richard Mott was nominated unanimously by delegates there to serve as the Democratic candidate for NYS Supreme Court Justice. Doreen Parsley Davis, Greene County Democratic Chair said "we are excited to have a candidate to support from neighboring Columbia County." A native of Esopus in Ulster County, Richard Mott has resided in Columbia County since 1976 in the Town of Kinderhook. He has been in private practice at his Albany office since 1982. Mr. Mott also served in the Columbia County Public Defender’s office from 1982-1987. 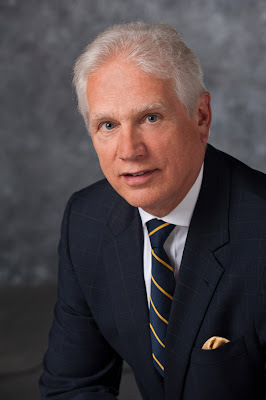 He was the Kinderhook Town Attorney from 1984-1986 and has extensive experience in all phases of the law. Also nominated for the second available seat for Supreme Court Justice was Stephan Schick a criminal defense attorney from Sullivan County. Both Hall and Davis agreed that Greene County and Columbia County Democrats are solidly behind both judicial candidates and look forward to a successful election in November. The 3rd Judicial District is comprised of the Counties of Albany, Columbia, Greene, Rensselaer, Schoharie, Sullivan and Ulster.